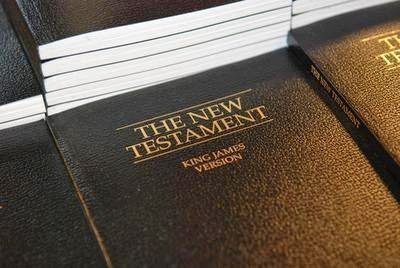 The expression "out with the old and in with the new" rarely has more significance than when we start the new year saying good bye to our Old Testament studies and hello to our New Testament studies. This lesson helps introduce our New Testament course by exploring why some of the New Testament authors wrote what they wrote. We will touch on 3 testimonies today. Each testimony declares Jesus to be the anointed one, the promised Messiah. 31 But these are written, that ye might believe that Jesus is the Christ, the Son of God; and that believing ye might have life through his name." Very clearly John had 3 stated intents in writing his testimony or gospel. That in believing ye might have life through his name. His gospel was written to those who were already familiar with the basic teachings of Jesus and seemed to be directed more at members of the early church, urging them to recognize Jesus as more than just a great rabbi to follow. He was more than just a prophet. He was the one of whom all the prophets had testified would come into the world. He was the anointed one, The Messiah, The Christ. And he was also the Son of God. John frames his testimony around 7 miracles that Jesus performs building a clear picture for the Saints of a divine being with a divine purpose. "1 In the beginning was the Word, and the Word was with God, and the Word was God. 2 The same was in the beginning with God." 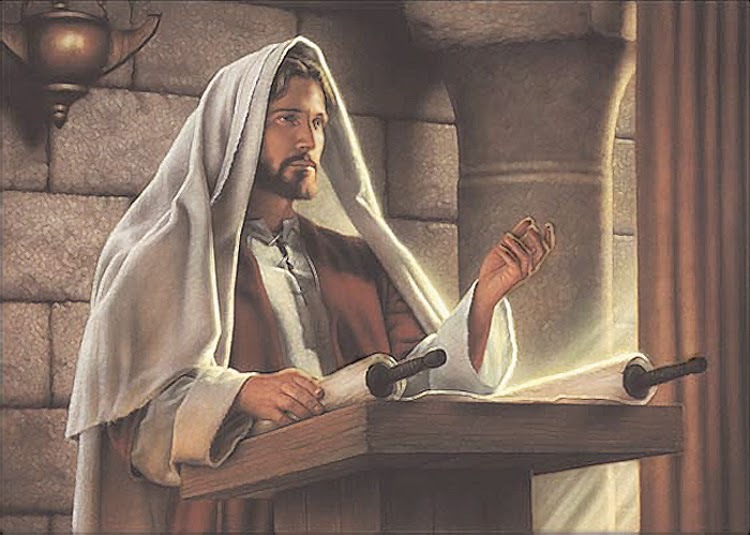 John starts his testimony boldly stating that Jesus was there from the beginning(the very beginning), was with God from the beginning and was not only part of the godhead but was Jehovah, the God of the Old Covenant. It's hard to see how John could be any more direct with his audience. He clearly feels these were facts that even the Saints needed reminding of. I have always found it fascinating that John took us back to the same literary structure as the opening of Genesis. It is almost like he wants us to go all the way back and realign how it all began. "In the beginning" but instead of a fairly impersonal and general story of creation, John is pleading with us to place Jesus firmly in the centre of that narrative. The beginning of our faith was not the creation nor Adam nor Abraham but rather "In the beginning was the Word"! What an introduction and what a testimony. Matthew also wrote a record of his testimony. But instead of writing to the Saints of the church, Matthew wrote his testimony mostly to the Jews, the very people that had just rejected Jesus. The first 17 verses of Matthew Chapter 1 are probably skipped by a lot of people. It contains a lot of "begats" and a lot of names that are either unfamiliar or hard to pronounce (sometimes both!). It is a genealogy from Abraham to Joseph and quite honestly, at first glance, it can come across as boring. But a closer look will reveal a fascinating opening to Matthew's testimony. "1 The book of the generation of Jesus Christ, the son of David, the son of Abraham." It seems like a very typical introductory verse but it is already sending a clear message to the Jewish people. Matthew declares Christ as the son of David and the son of Abraham. To understand the impact of this declaration we must understand a little of the Jewish culture and expectation. Historically the children of Israel had struggled to do as Jehovah had told them. As a result they lost their divine protection and were taken captive by the Assyrians, the Babylonians and the Persians. However in their captivity the Lord often had his prophets foretell of a time when the people would be saved by an anointed one, of the seed of David. 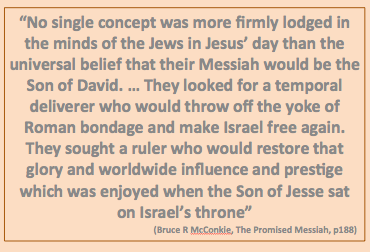 After the many military captures and their servitude under many empires and regimes the Jews believed this "anointed one" (Messiah in Hebrew, Christ in Greek) would be a king (of the royal lineage, a descendant of their King David) who would free them from the various military captors. These apostles keep it pretty simple and direct. Now the Jewish people loved their genealogy, they took pride in being sons of Abraham and being related to David. In fact they had started getting the attitude that their genealogy saved them, that just merely being a Jew (the chosen people) gave them salvation. And now Matthew does something that gets their attention using their genealogy. In the middle of Jesus genealogy (which is also the genealogy of David and Abraham - two of the most revered people in Jewish tradition) Matthew decides to break with tradition and introduce women, but not only women but Gentile women and not only Gentile women but Gentile women that all needed reclaiming. Tamar was the Canaanite daughter in law of Judah, one of the 12 sons of Jacob. When her husband died leaving her without child, she eventually fooled her father in law into laying with her and giving her child. Rachab was also a Canaanite living in Jericho. She was the prostitute who protected the spies of Israel and as a result was the sole survivor with her family from the destruction of Jericho. Ruth was a Moabite whose husband also died and needed Boaz to reclaim her. Her was Bathsheba wife of Uriah the Hittite. It was she whom David committed adultery and murder for. Of course the obvious question is why would Matthew put these Gentile women in the most royal of Jewish lineages? I believe he wanted the Jewish people to see that their genealogy alone would not save them. Their genealogy was filled with sinning Jews and saved Gentiles! Matthew's message seems clear. Jesus is that promised Christ, the son of David and of Abraham and the Jews missed him. For all the prophecies and writings of old they, the Chosen people, had rejected their Saviour. And like the Gentiles in their genealogy, the Jewish people also need reclaiming as much as if not more than any Gentile does. Its a bold and stirring testimony and declaration, calling the Jewish people to repentance and asking them to look one more time upon the man they crucified. The third and final testimony in this week's lesson comes from Jesus himself. In Luke 4:14-32 we find an interesting story. Jesus has just returned from his fasting in the wilderness where Satan approached him and tried to dissuade him from his coming ministry. We believe that Jesus was about 30 years old at this time. We do not know much about his teenage or young adult life but we can presume a few things based on a couple of scriptures. "14 ¶And Jesus returned in the power of the Spirit into Galilee: and there went out a fame of him through all the region round about. 16 ¶And he came to Nazareth, where he had been brought up: and, as his custom was, he went into the synagogue on the sabbath day, and stood up for to read. 17 And there was delivered unto him the book of the prophet Esaias..."
21 And he began to say unto them, This day is this scripture fulfilled in your ears." Wow! Could you imagine the scene? Oh how I would love to have been there that day! Now all of the Jews knew this scripture was a prophecy of the Messiah to come. They had been taught this scripture since they first entered the synagogues. What they did not understand was how it was to be fulfilled. So when this great teacher reads this scripture their eyes are all fastened on him in the hope that he may be about to give some clue as to when this Messiah will appear. That they could accept. But when this Jesus, who in their minds was the son of Joseph (not of David nor of Abraham and therefore no-one special by their reckoning), declared his testimony that He was the promised Messiah, his neighbours and friends and maybe even some of his family just could not accept it. That was too much for them and they took him out of the city and tried to kill him for blasphemy. This is an incredible moment in the bible. It is the first time the Lord publicly declares his mission to the world and testifies as to his true identity, as opposed to his adopted identity. It stands, as do the opening verses of John and Matthew, as a powerful opening testimony to his mission and ministry, declaring that he is indeed the promised Messiah. I hope this is exciting to you. I hope the testimony of John and Matthew and Jesus himself inspire you to read and study more of the New Testament. There is great power in this record. This year we will study the mortal life and ministry of Jesus, adopted son of Joseph, son of David and Abraham, beloved and only begotten Son of God. I encourage to join me as we learn of the great mission he fulfilled and the life of love he led.